Self storage is an affordable and convenient way to store inventory, supplies, seasonal decorations and fixtures during the upcoming busy holiday season as well as throughout the entire year. Having a self storage unit for excess inventory or equipment will help streamline a business’s processes, keep inventory more organized and help a company be efficient. Self storage facilities offer many great retail storage ideas. The facilities have access hours before and after retail stores close, so inventory can be moved quickly and efficiently. 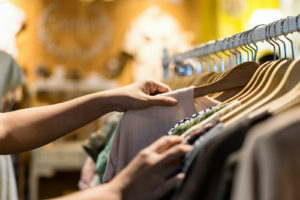 Depending on the type of items that are being stored, the best storage option to protect a store’s inventory from extreme heat and humidity is a climate controlled storage unit. A state-of-the-art secured self storage security system is also an important factor in choosing where to store your retail inventory. 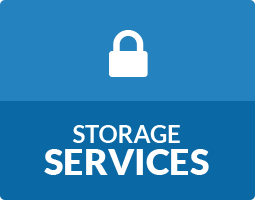 Storage World offers well-lit and clean facilities with gated access with a personal code, 24/7 surveillance cameras, alarm systems, and disc locks to give you peace-of-mind that your inventory is protected while in storage. Most storage facilities can also accept deliveries for the businesses allowing the business the ease of mind that their inventory is secure. Storage World also accepts deliveries at all three of our locations. The busiest time of the year for retail businesses is obviously during the holiday season which starts in October and runs through December. Retail shops are filling shelves with as much merchandise and produce as possible to fill customer demands. The abundance of inventory requires shop owners to find additional retail inventory storage solutions. Fixtures, signage and seasonal decorations can take up vital sales floor space during the holiday months. These items can easily be stored at an off-site storage facility. 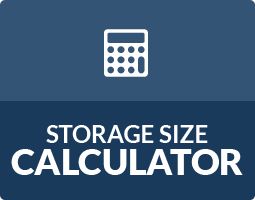 Self storage can cost less per square foot than additional rental space in a brick and mortar location. Instead of moving to a larger location for additional storage, consider renting a storage unit. By moving excess inventory into a self storage unit, a retail shop owner can easily set up a retail inventory management system to keep track of the inventory that is in storage. Are you ready to reserve a storage unit to store extra retail items? Storage World has storage facilities in Jonesboro, GA and Decatur, GA on Flat Shoals Pkwy and Panthersville Rd. 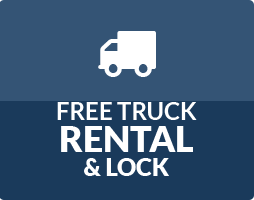 Reserve a storage unit with us today!